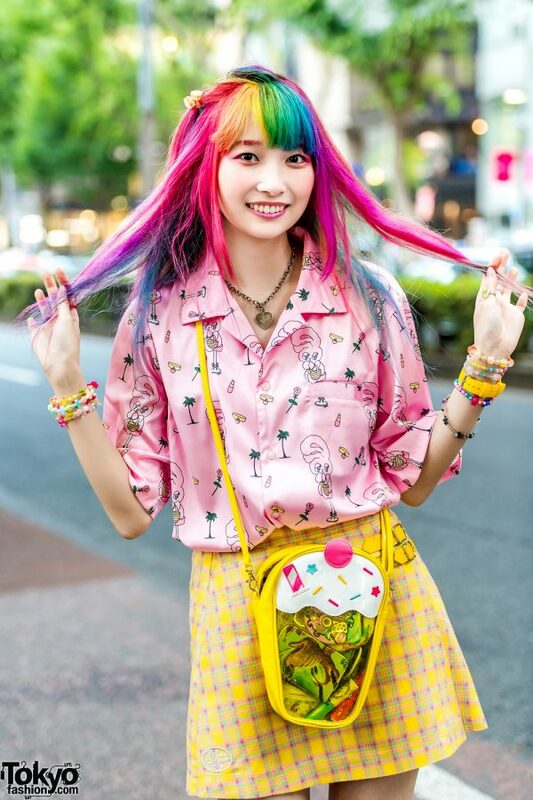 One afternoon, while walking along the Harajuku street, we came across Sakura Luna, a a kawaii fashion enthusiast who told us that her style is “Neo Fairy”. 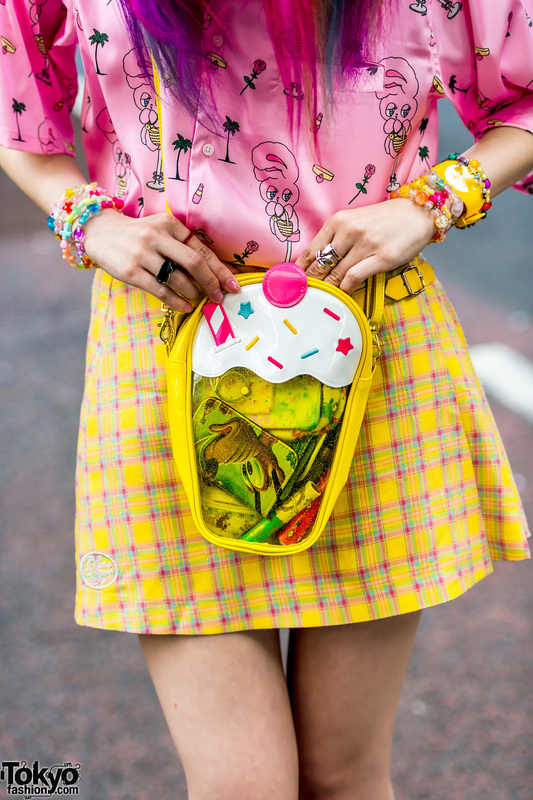 Sporting rainbow fringed hair, Luna stepped out wearing a pink bunny print silk shirt from WC X Esther Kim, tucked into a yellow plaid skirt from Neon Moon with yellow leather belt buckle detailing on the side. She finished off her outfit with sheer teal socks, Merry Jenny blue platform fuzzy sandals with ruffle details, and a yellow cupcake see-through sling bag from Swimmer. Her accessories – some from Gemme, 6%DokiDoki, Faith Tokyo, Lattice, some handmade – include a heart necklace, decora beaded bracelets, a yellow ICE Watch, and rings from Love Letter. Luna lists Candy Stripper and Pink House as her fashion favorites, and she likes listening to the music of Maaya Sakamoto. For more on Luna’s colorful neo fairy fashion styles, follow her on Twitter and Instagram.